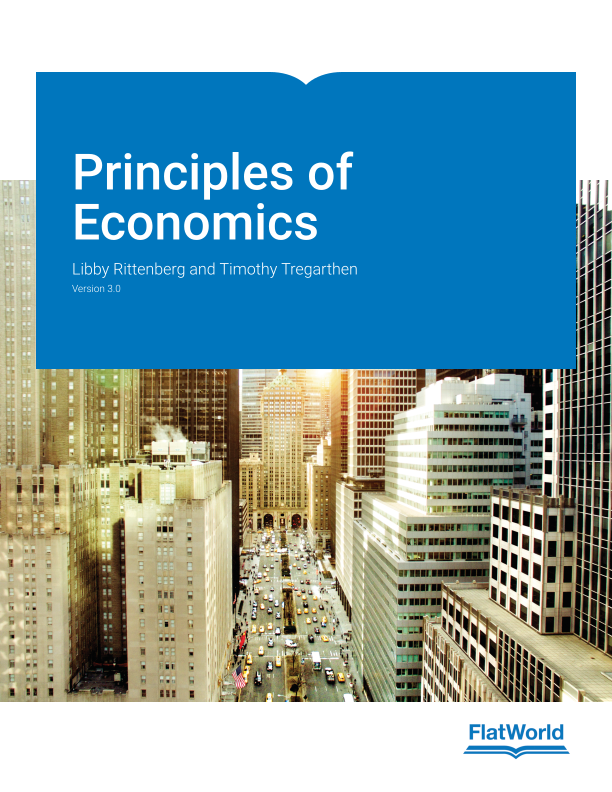 In writing Principles of Economics, Rittenberg and Tregarthen aimed to present economics as a unified discipline, rather than a bewildering array of seemingly unrelated topics. The authors present microeconomics and macroeconomics around integrating themes, such as the marginal decision rule and the model of aggregate demand and aggregate supply. Incorporates research on technological change and the wage gap. Addresses the role of education in shaping society and the future of jobs. Spotlights controversies surrounding such issues as the impact of minimum wage increases and the efforts to address environmental issues. New analysis on the Great Recession. Discusses economic growth prospects in the new century. Added emphasis on both current issues as well as historical context. “Heads Up” sections clarify potentially confusing concepts. “Try It” sections encourage students to walk through scenarios related to each concept or idea. “Case in Point” sections use real-world applications to harness economics concepts in reality. 5.1 Start Up: Raise Fares? Lower Fares? What’s A Public Transit Manager To Do? 11.1 Start Up: The Excitement Of Groupon: What Rivals Will It Face? 13.1 Start Up: Mars—Here We Come! 23.1 Start Up: How Important Is Economic Growth? 24.1 Start Up: How Many Macks Does It Cost?